Screw To Adjust cable tension. 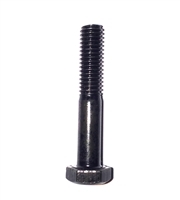 Includes one tension screw ONLY. Is your Nova Ortho-Med rollator walker wheel not rolling like it should? It could be a wheel bearing that is not functioning correctly. Our technicians tell us that this is a very common problem with wheeled walkers. Now you have an easy fix to a very common problem with our bearings. These Nova bearings will have the numbers 608Z and TTN stamped on the outside. Nova Part Number: P40006 These wheel bearings are used in Nova's 5", 6" and 8" wheels and work with Nova rollator models 4202C, 4203, 4200, 4200C, 4201, 4207 and 4208 Nova Rollators. 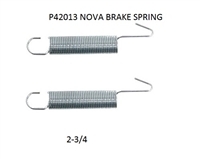 REPLACE THAT WORN OUT NOVA ROLLATOR WALKER SPRING WITH NEW SPRINGS FROM WCMS. Comes with (2) Female Height Adjustment Knob. Pair. Bolt is Sold Separately.